LOS ANGELES, CA, US, February 11, 2019 /EINPresswire.com/ — Today, BCE Media Inc., parent company of online events calendar BlackCulturalEvents.com and led by CEO Pamela Ashe-Thomas, announced the redesign of its online fashion retail website African Fabric Co (http://africanfabricco.com). Featuring on-trend web design, the new website makes it easy for potential customers to browse the full product line African Fabric Co has to offer. The African Fabric Co. has stylish and creative women’s and men’s ready-to-wear lines that are of particular interest to Afrocentric consumers. By expanding its offering and completing this redesign BCE Media Inc. looks to meet the needs of its community of followers. Along with the updated website redesign, the product lines have been updated and expanded. 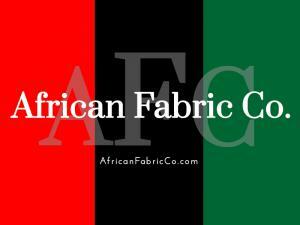 For more information on African Fabric Co., visit AfricanFabricCo.com or BCE Media Inc.